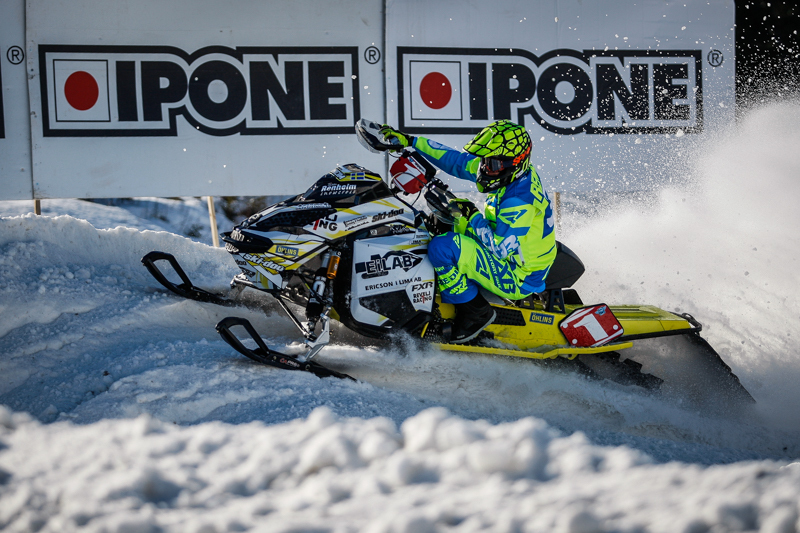 With a two day format, Friday the 31st March included warm-up and practice, while tomorrow, Saturday the 1st, will host the qualifying and championship races where snowcross riders will go ‘bar to bar’ for their chance to win the 2017 Snowcross World crown. On Friday Adam Renheim, who will be defending his World Championship title this Saturday, came out the fastest in practice followed by Marcus Ogemar and Nisse Kjellström. Meanwhile the fastest three of the women were Elina Öhman, Signe Irene Bråten and Emilia Dahlgren. Last year’s Women’s World Cup winner, Marica Renheim, from Sweden, was injured prior to the this weekend’s race. She will however be supporting her brother, Adam, and her sister Ronja Renheim, who is leading the Swedish Championship at the moment and who was 5th in free practice. After Friday’s practice the city center of Älvsbyn held a meet and greet which included a riders presentation and a dance performance to welcome the championship and riders back to the city. As for TV coverage, Youthstream will have a crew of TV staff onsite to document the event. The world can tune into www.MXGP-TV.com to watch the 26 min Magazine of the 2017 FIM Snowcross World Championship which will be released on Friday 7th of April. Stay tuned to www.worldsnowcross.com to have more details on the TV Coverage and the Event. All the photos will be available here and by clicking here you will be able to obtain the complete results. European Championship Qualifying Practice 09:30; Women’s World Cup Qualifying Practice 10:00; World Championship Qualifying Practice 10:20; European Championship Final 1: 12:00; Women’s World Cup Final 13:10; World Championship Final 1: 13:45; European Championship Final 2: 14:35; World Championship Final 2: 15:15.